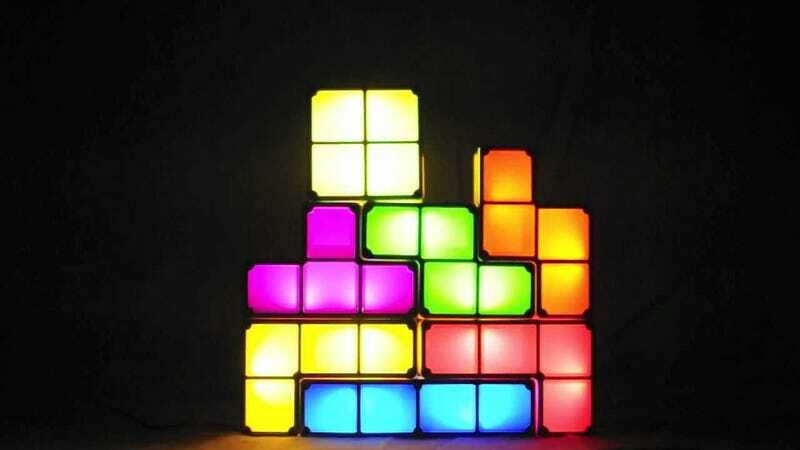 Happy Birthday, Tetris! Alexey Pajitnov released the block-stacking, productivity-killer on June 6, 1984—and it has been available on nearly every gaming device since. Why has this simple game endured while so many others ended up in 8-bit heaven? A psychologist explains what makes it uniquely addicting. "Tetris is the granddaddy of puzzle games like Candy Crush saga—the things that keep us puzzling away for hours, days and weeks. Tetris is pure game: there is no benefit to it, nothing to learn, no social or physical consequence. It is almost completely pointless, but keeps us coming back for more and more." Dr. Stafford goes on to say that the tidying and puzzle-solving aspect of the game delivers the same kind of psychological satisfaction as scratching an itch, and that has played a large part in the game remaining so popular. "Tetris is so moreish that one writer called it 'pharmatronic' – an electronic with all the mind altering properties of a drug," Dr Stafford said. "The so-called Tetris Effect is when you close your eyes at night after a few hours of playing the game and you can still see the blocks falling down, in your mind's eye. Or you look at patterns on the floor and you make tessellations of the Tetris blocks in the tiles."